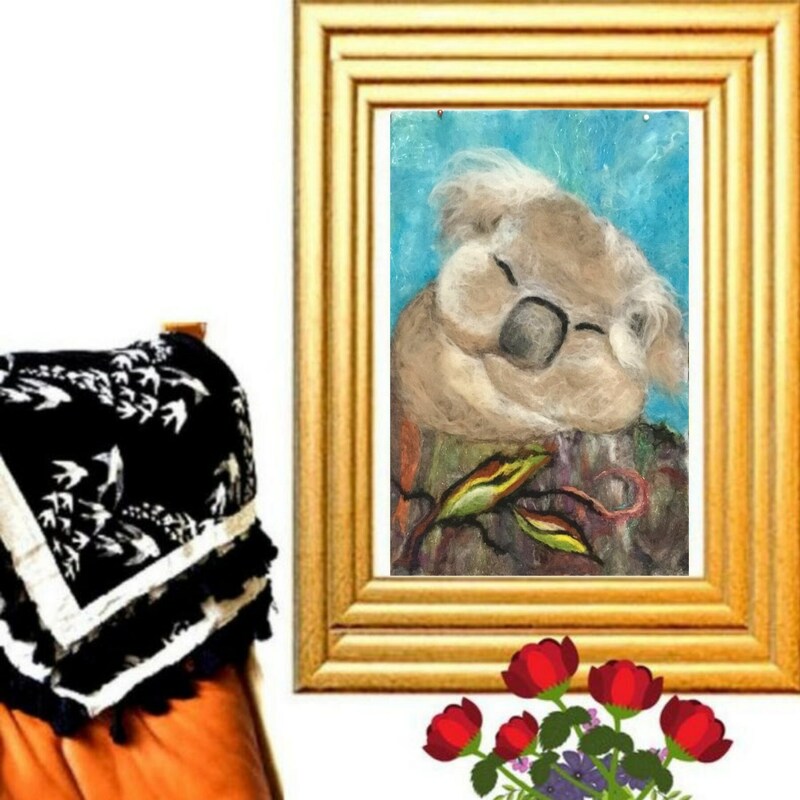 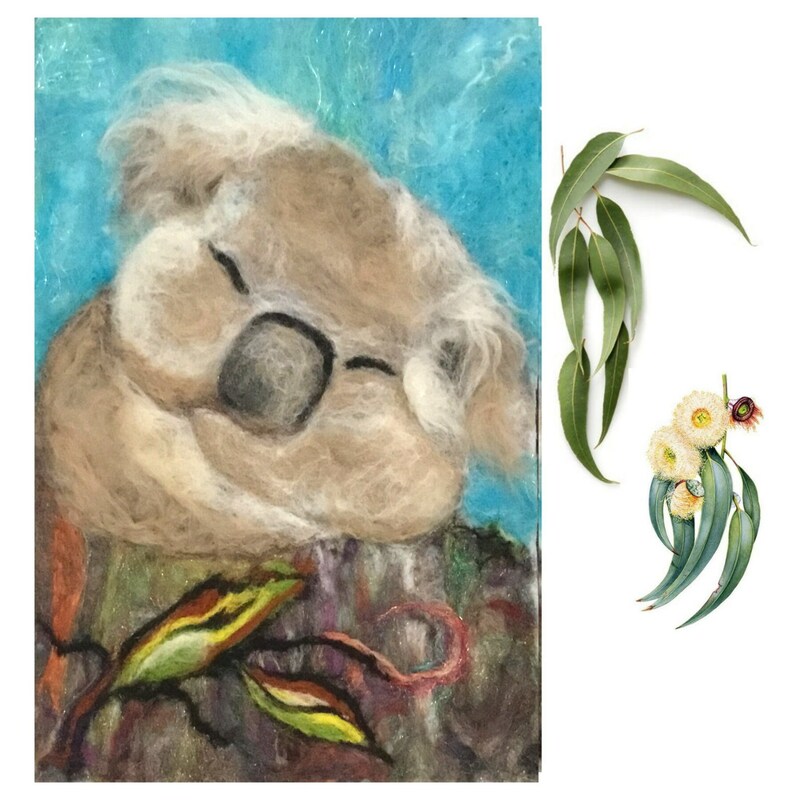 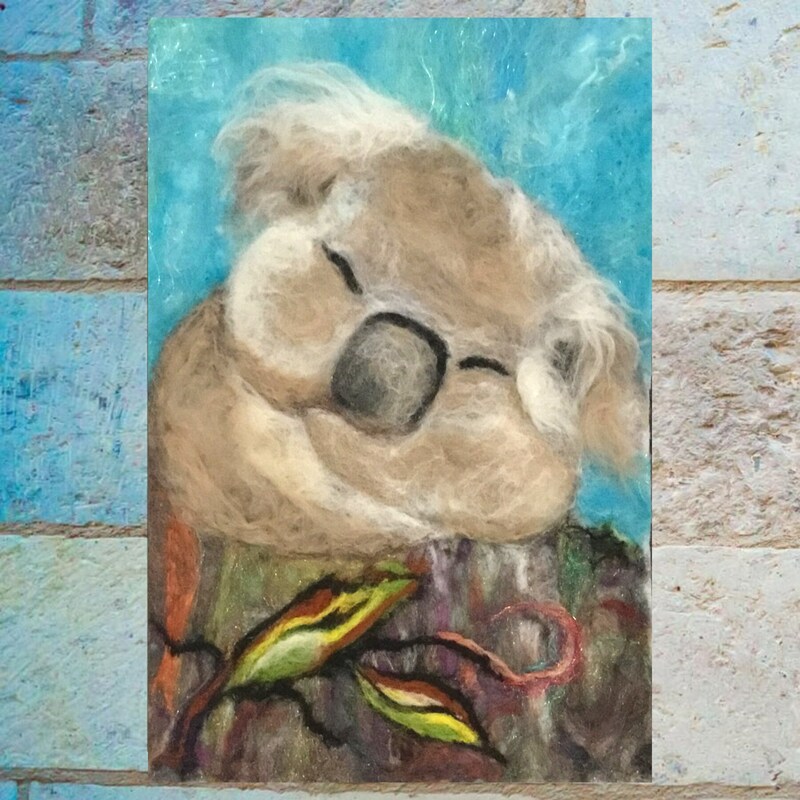 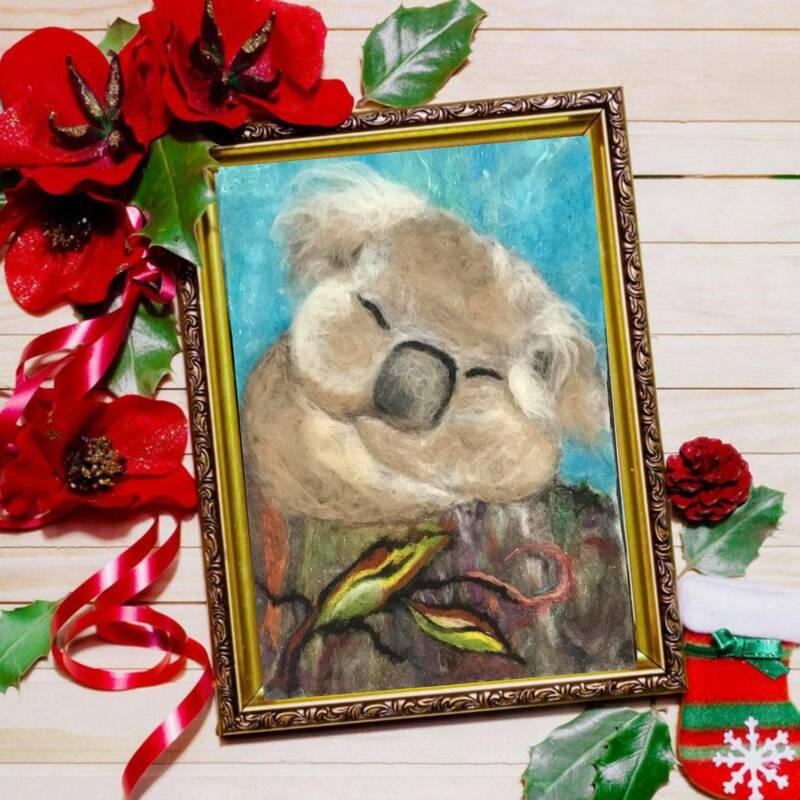 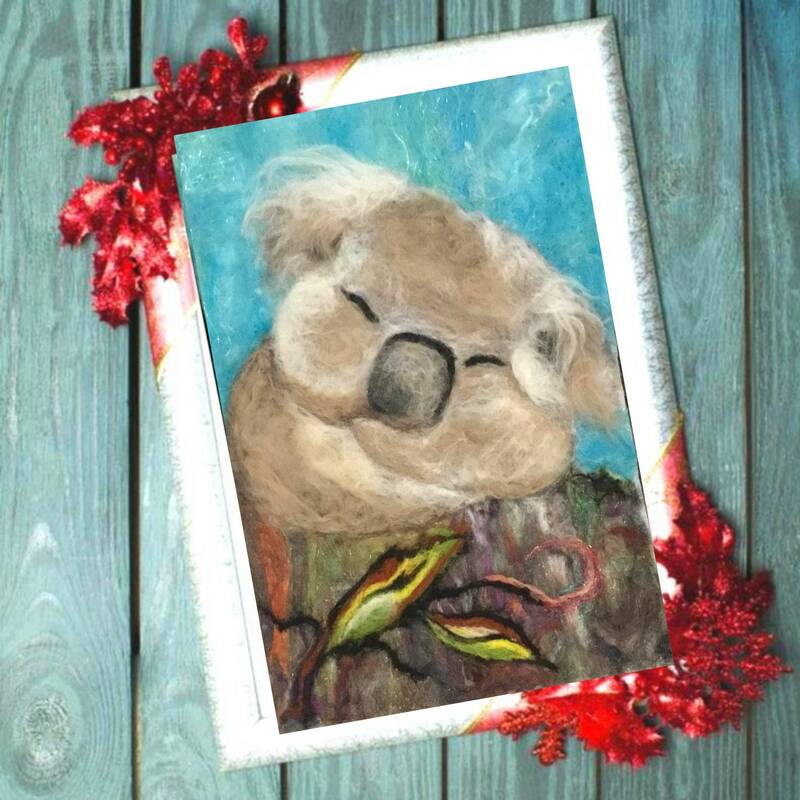 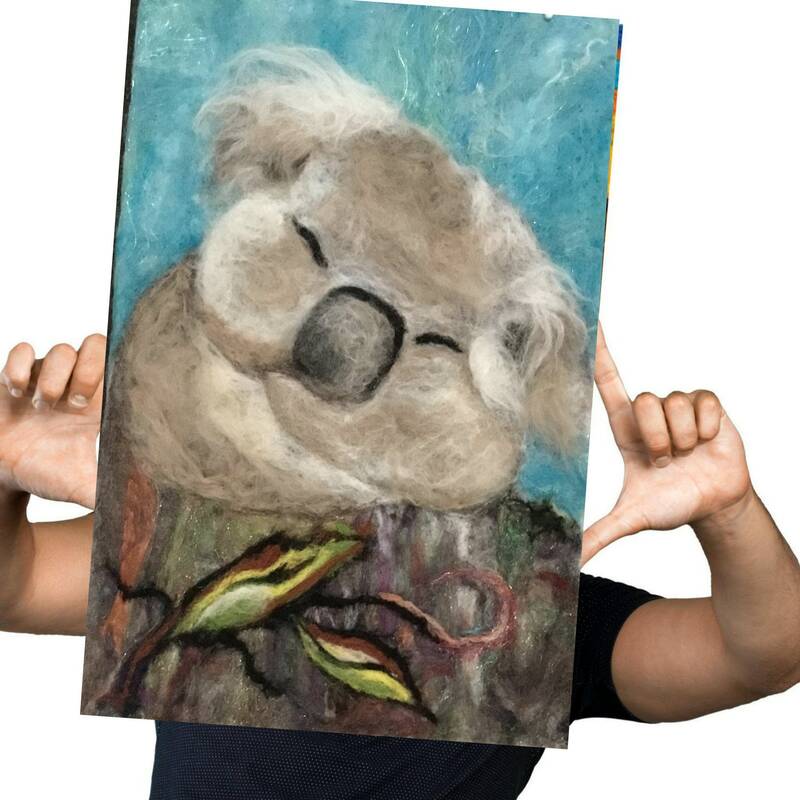 This koala wool painting is needle felted by hand in a lovely taupe colour. 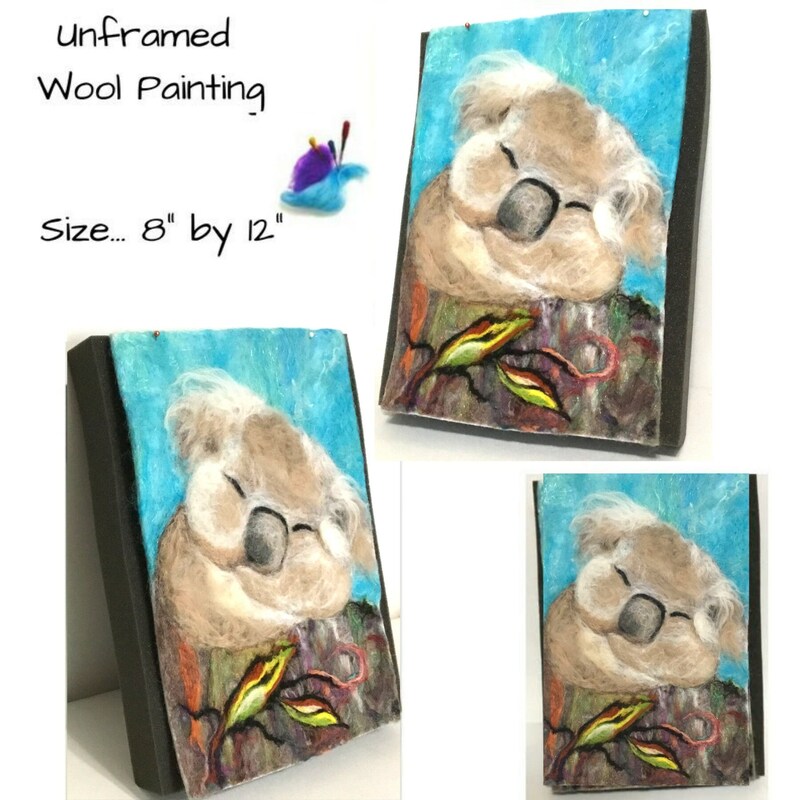 This unique 3D wool picture would enhance most decor with its lovely soft colours in Merino wool. 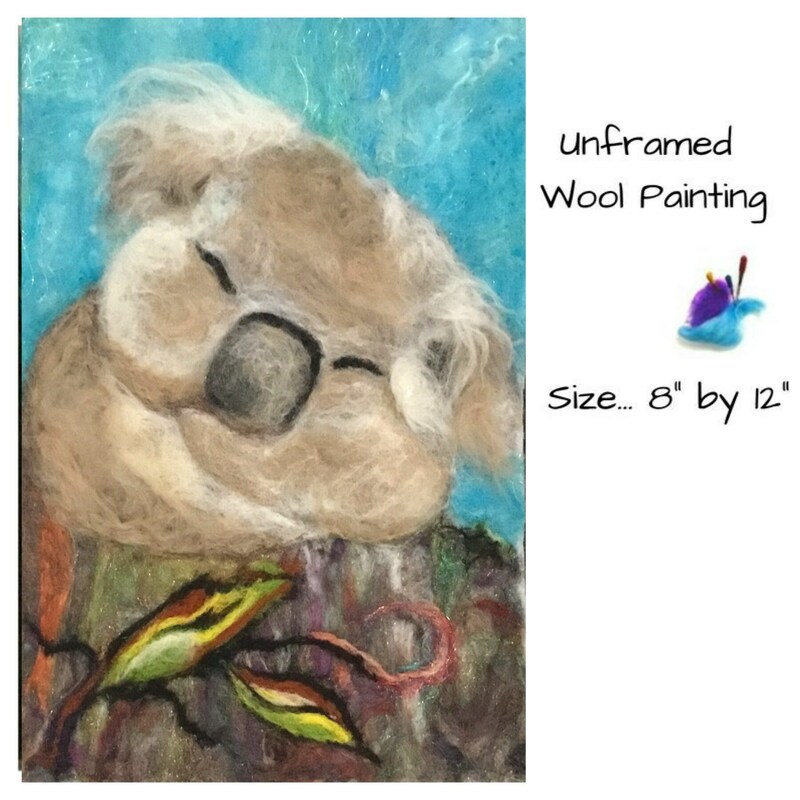 Size is 11x 1/4" by 8 x 3/4"
This wool painting is unframed and can be hung without any frame , or just with a frame, no glass is needed over the top because it is 3D and you can feel the softness, textures and see the brilliant colours better. 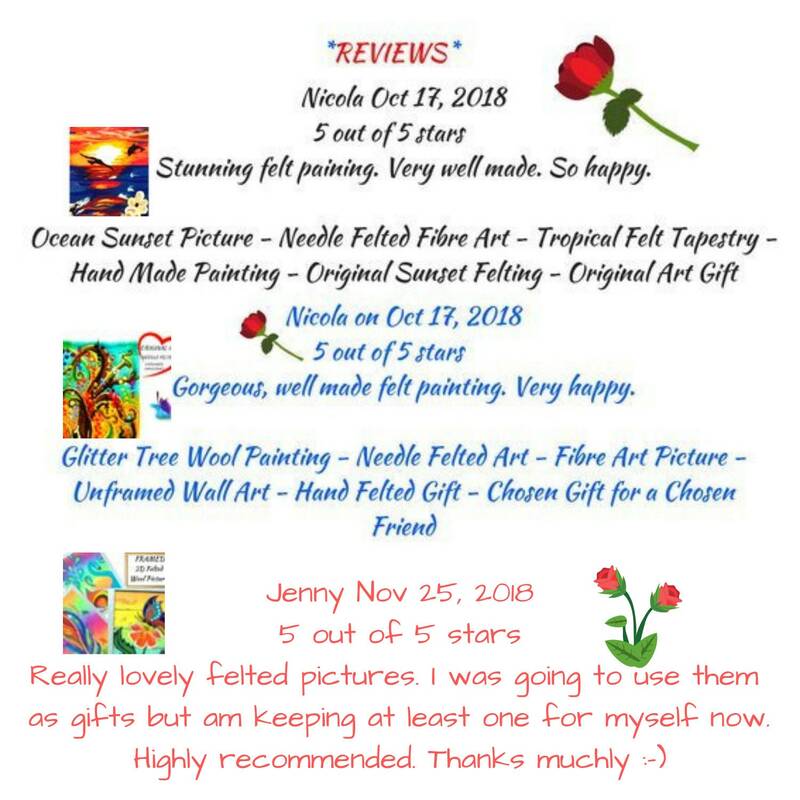 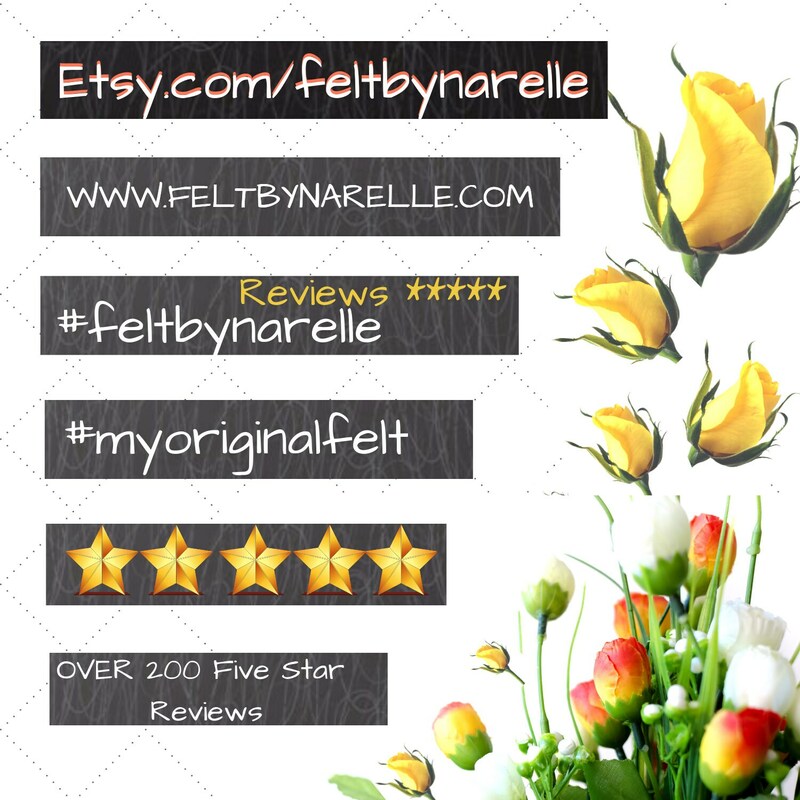 I have had very happy reviews of my work, they are uniquely different, great prices for original work...what better than to give an ORIGINAL Art GIFT!